Leadership succession is inevitable for most family businesses. Unfortunately all too often it is recognised as an issue but put to one side to be dealt with at a future point. This may be due to the fact that succession is seen as too hard or complex in terms of the family dynamic or because the existing governance mechanisms fail to identify the fundamental need to plan for succession. Properly managed and controlled succession becomes a process for a family business and not ‘an event’. Whilst most family businesses recognise the need to plan for leadership succession, a much smaller number actually take steps to formalise a Plan and allocate implementation responsibility. Just why may this be the case? It is a well-recognised fact that CEO’s of family businesses are in office three to four times as long as those from non-family businesses. This long tenure of office for the CEO may engender a false lack of priority about the importance of succession planning. Just because there appears to be plenty of time does not mean that this issue should be left to one side for the future. Indeed, what would happen should an unplanned succession event occur due to the ill health of the current CEO? Another factor as to why a Plan may have been overlooked is that the family/business lack all or some elements of the appropriate governance structures, such as an effective board, family council and family assembly. These structures assist in the regulation of the inter-relationship between the Ownership of the business, the Management of the business and the Family. Achieving the right balance and connection between these three areas is vital to ensuring continuity and continued success through the inevitable changes that occur over time, both to the family and in the business world. Planning for succession should typically be a 3 to 7 year event, sometimes even longer. One of the principle responsibilities of a Board of Directors is to plan for the CEO’s succession. When it comes to selecting the successor the appointment should be based upon who is the best person for the job. If a family member is to succeed the retiring CEO then their selection must be based upon ability, rather than blood line. To ensure that there are family members involved in top management successful long-lived family businesses have recognised the need for education. The concept of education for a family business has a very broad meaning, encompassing how the younger generation are educated in family values, about the family business and determining what level of formal education and work experience is required for those family members who wish to join the family business. By promoting a learning orientation the successful multi-generational family businesses lay the groundwork for family members to join top management based upon their skills rather than their blood line. They are used to the power that accompanies leadership and see any diminution in their authority as a challenge to their personal status, worth and reason for existing. They fear “what lies beyond the business”, because their lives have enjoyed such a strong focus on it. They cannot see anybody else in the business, the family, or an outsider who can know, love, suffer and achieve for the business as much as they have done. They want to protect their valued employees, or family, from the perceived challenges of command. They want to ensure that their retirement prospects are secure. Succession is never an easy issue to deal with for the retiree, business or the family, however if the process is properly structured and managed all the stakeholders will have confidence in the outcome. Make succession a structured on-going process, rather than an event. The Board must take ownership of the process. Be professional and avoid nepotism. Appoint the best person for the job. Be objective, independent and impartial for the sake of your family, business and for those whose lives who depend on it. 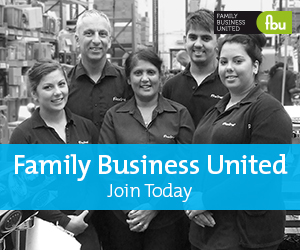 Appoint someone who understands the unique responsibilities of leading a family business. This person will act in the manner of a steward, rather than an individual seeking to maximise their personal wealth. Structure the transition between the retiring leader and the new one to ensure that years of business knowledge are not simply lost overnight. Respond to the old leader’s fear of the abyss. When the business has been their life, moving out of it is like stepping into the void. Help to ease their move. Work out how much is enough financially? How much money does the leader need to be financially secure? Do not search for, or try to create, a clone of the current leader – the successor should stand on the old leader’s shoulders, not just fill their shoes. Do not surrender your business and family timing objectives purely for tax/wealth benefits. Consider the long-term health of the family and the business.